As one of the longest servicing USAF Aircraft from 1940’s until 1980’s, the A-1H Skyraider was extensively used by different Armed Forces which included the US Navy, Air Force and Marines. The A1-H Skyraider might be driven by simple propellers in the highly advanced age of jet planes, but its long history is a testament that it’s an aircraft with solid reputation. 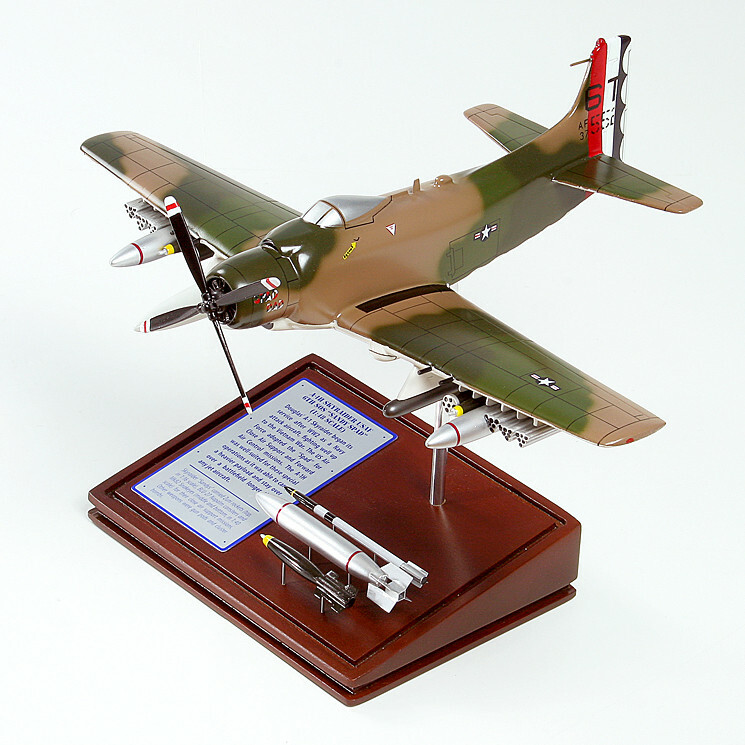 Though not as iconic as other warbirds, the Skyraider was wellknown for its other monikers such as "Spad", "the Destroyer", "Hobo" and many others. After decades of service, the Skyraider has proven its remarkable skills in guerilla-styled wars waged everywhere, but soecifically in the Southeast Asia.